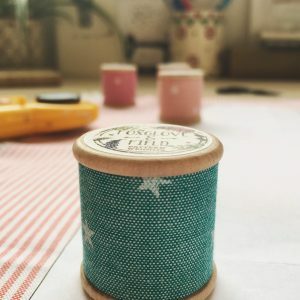 I’ve adored sewing since I was a child, having my first sewing machine at the age if eight, at sixteen I was making hooded tops and bags, in my twenties I loved patchwork and quilting and by my thirties I went charging headlong into making my own clothes. 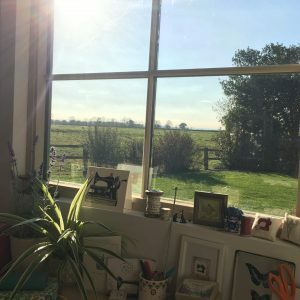 I have enjoyed being part of the sewing community on Instagram for quite a few years under my personal account Fox Hollies. I’ve always been drawn to collecting vintage, especially sewing bits and bobs. My workshop is an eclectic mix of quirky, old and unusual finds from car boot sales and junk shops. Some would see it as clutter but I just love being surrounded by my paraphernalia. 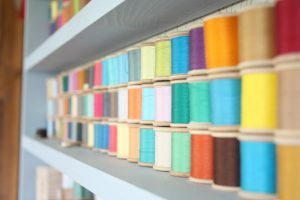 I’m a bit of an anorak when it comes to Sylko cotton reels and have been collecting them for some time. I love the bright colours and all the evocative names such Turkey Red, WVS green and Gay Kingfisher. There are 500 colours in the original wooden reels and I’m at around 350 to date! I became increasingly aware that there wasn’t much choice on the market when it comes to pattern weights. For those of you that don’t use them, lay your fabric on a cutting mat with your paper pattern on top. You then weigh it down and keep it all in place with the pattern weights. You can cut out with a rotary cutter or trace the pattern but above all you can be confident that it won’t move. 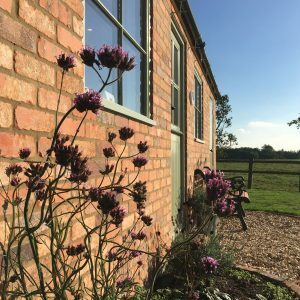 I knew I wanted to make them for some time but it was whilst on a road trip with my husband, chattering about my dreams that the idea was born. 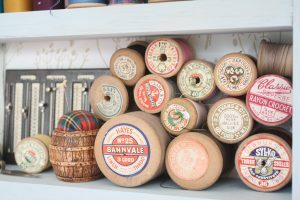 I love sewing, I adore vintage cotton reels and wanted to make pattern weights… the rest is history! Once I had the idea, it was so exciting but I had to come up with a feasible and credible way of making them. It has taken months of sheer determination, rejected prototypes, tears, tantrums and skipping round the kitchen with joy. When the final perfect little prototype was made, I can’t explain the sense of achievement. Hi, I’ve just received some Liberty Love weights for Christmas. How fantastic. Thank you for coming up with the best designed pattern weights I have ever seen. The added bonus is that Liberty is my favourite shop so they are perfect. Your other designs are lovely too. Brilliant! Hi Carole, Im so thrilled that you are pleased with your weights, thats wonderful! You’ve made my week! !